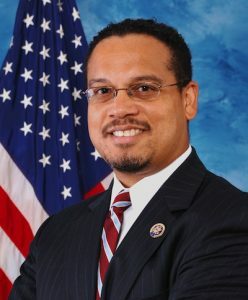 The Maine Democratic Party is hosting a Spring Dinner on Friday, May 26th with special guest Keith Ellison. You can get tickets at the link below. The lowest ticket amount is $50, but the MDP just let us know that they are offering 4 tickets to each county at $25 for anyone who is unable to pay the full $50. If you are interested in one of the 4 discounted tickets, please contact Katie Mae or Anya at MDP (207/622-6233). First come, first served.